The 2017 Families Australia Oration, ‘Children at Heart’ was delivered by Professor Ngiare Brown, Founding Director, Ngaoara Ltd Child and Adolescent Wellbeing; Deputy Chair, Prime Minister’s Indigenous Advisory Council. Professor Ngiare Brown is a Yuin nation woman from the south coast of NSW. She is a senior Aboriginal medical practitioner with qualifications in medicine, public health and primary care, and has studied bioethics, medical law and human rights. She was the first identified Aboriginal medical graduate from NSW, and is one of the first Aboriginal doctors in Australia. Over the past two decades she has developed extensive national and international networks in Indigenous health and social justice, including engagement with the UN system. Ngiare is a founding member and was Foundation CEO of the Australian Indigenous Doctors’ Association (AIDA); is a founding member of the Pacific Region Indigenous Doctors’ Congress (PRIDoC); and is Chair of the Health, Rights and Sovereignty committee of PRIDoC. She is a Board Member for the Bangarra Dance Theatre and the Australian Research Alliance for Children and Youth (ARACY, effective February 2017). Professor Brown is currently the deputy Chair of the Prime Minister’s Indigenous Advisory Council. She has been a member of numerous national committees, including contributions to the NHMRC. Professor Brown has worked as a clinician and researcher in Aboriginal community controlled health services, remote primary care practices and tertiary centres nationally. She is privileged to have been able to develop networks and long term relationships with Aboriginal communities in most states and territories, and her work has been acknowledged by professional and community awards – e.g. the AMA Woman in Medicine; an Aboriginal and Torres Strait Islander Community Award for Contributions to Indigenous Health (The Deadlys). Professor Brown has recently established Ngaoara Ltd Child and Adolescent Wellbeing, a not-for-profit providing specialist outreach and integrated care to children affected by trauma and with complex comorbidities; and supporting communities to develop initiatives focused on breaking intergenerational cycles of trauma and disparity. Keynote addresses were delivered by Professor Frank Oberklaid OAM, Professor Keith Kaufman PhD, Professor Brigid Daniel and Natalie Lewis. Professor Frank Oberklaid, OAM, MD, FRACP, DCH, is the Foundation Director of the Centre for Community Child Health at The Royal Children’s Hospital – Melbourne, Co-Group Leader of Child Health Policy, Equity and Translation at the Murdoch Childrens Research Institute and an Honorary Professor of Paediatrics at the University of Melbourne. Professor Oberklaid is an internationally recognised researcher, author, lecturer and consultant, and has written two books and over 200 scientific publications on various aspects of paediatrics. For many years he was Editor-in-Chief of the Journal of Paediatrics and Child Health; and remains on the editorial boards of a number of international journals. Professor Oberklaid has been the recipient of numerous research grants and his work has been acknowledged in the form of a number of prestigious awards, including; the Nils Rosen von Rosenstein Medal in 2013 awarded by the Swedish Pediatric Association and Swedish Society of Medicine, a Medal of the Order of Australia in 1998, a Centenary Medal from the Commonwealth of Australia in 2003, the John Sands Medal from the Royal Australasian College of Physicians in 2003, the Chairman’s Medal from The Royal Children’s Hospital, Melbourne in 2003, and the Royal Australasian College of Physicians’ Howard Williams Medal in 2009. He is a consultant for UNICEF and WHO, and has had numerous invited international lectureships and visiting professorships. Professor Oberklaid is Chair of the Victorian Children’s Council, which provides expert advice to the Premier and Ministers on child health policies and services for children, and has chaired or been a member of many national health committees, expert working groups and advisory boards. Professor Oberklaid is especially interested in prevention and early intervention, and the use of research findings to inform public policy and service delivery. His clinical and research training is in child development and behaviour, and his work as a specialist paediatrician is with children who have developmental and behavioural problems. Medal of the Order of Australia (OAM), Doctor of Medicine (MD), Fellow of the Royal Australasian College of Physicians (FRACP), Diploma in Children’s Health (DCH). The research regarding the critical importance of the early years of a child’s life is robust and uncontested. The early environments experienced by young children can have a significant impact on health, development and wellbeing right throughout the life course. Many conditions in adult life – mental health problems, obesity, diabetes, heart disease, poor literacy, chronic unemployment and welfare dependency, family violence, and criminality – have their origins in pathways that often begin in early childhood. Patterns that are established in the early years are increasingly difficult to change later in life. This research has major implications in many areas of policy and practice for children and families – health and wellbeing, education and early learning, child protection, family support, social services – as well as for adult health and wellbeing. The moral and ethical case for increased investment in the early years is reinforced by the economic considerations. If the science of early childhood is so persuasive, how can we deny young children the best chance of optimal life-long outcomes? If many problems in adult life begin in childhood, why do we persist with a predominant focus on treatment while largely neglecting more cost effective prevention approaches? Despite the commendable efforts of many stakeholders over the past decade, we have had only modest success in our advocacy, and what we have achieved remains vulnerable. There are many reasons we can offer – the diversity of interested stakeholder groups, the complexity of interventions, the gaps in evidence, and our difficulty in addressing the communication gap between the science and public perception. This presentation will argue that we need a national conversation about a new collective approach to policy and service delivery; the stakes are too high for us to continue with our present fragmented and uncoordinated efforts. Dr. Kaufman is a Licensed Clinical Psychologist and a Professor of Psychology at Portland State University in Portland, Oregon, USA. He has chaired state prevention committees in Ohio and Oregon and co-chaired the committee that created Oregon’s first statewide sexual violence prevention plan. Dr. Kaufman is a member of the National Sexual Violence Resource Center’s advisory board, the National Coalition to Prevent Child Sexual Abuse & Exploitation, Boys & Girls Clubs of America’s National Safety Task Force, and Big Brothers Big Sisters Nation Safety Committee. He is Past President of the Association for the Treatment of Sexual Abusers and recently received that organization’s Significant Lifetime Achievement Award. He is also a past recipient of the U.S. Office Of Juvenile Justice & Delinquency Prevention’s Gould-Wysinger award for research excellence. Dr. Kaufman has provided assessment and treatment to both child sexual abuse victims and juvenile sexual offenders as well as their families. He provides regular trainings and consultation focused on prevention and enhancing safety in organizational setting, including work with Big Brothers Big Sisters of America, Boys & Girls Clubs of America, the U.S. Olympic Committee, Boy Scouts of America and the Committee for Children. Dr. Kaufman has authored two books, a variety of book chapters, and numerous research articles addressing sexual violence and sexual violence prevention. His most recent edited book is Preventing Sexual Violence: A Practitioner’s Sourcebook (NEARI Press, 2010). Dr. Kaufman co-authored the first prevention chapter to be included in Interpol’s member manual and offered their first prevention training. In 2016 he completed (with Marcus Erooga) a comprehensive review of the international literature on risk and protective factors related to child sexual abuse in institutions for the Australian Royal Commission on Into Institutional Responses To Child Sexual Abuse. Dr. Kaufman has recently been awarded a $1 million U.S. Department of Justice grant to develop a Campus Situational Prevention Approach to address campus sexual assault. Estimates suggest that tens of millions of children and adolescents spend a significant amount of time involved with youth serving organizations outside of their home. These organizations provide a broad range of services which include academic development, out-of-home placements, medical-care, involvement in sports and leisure activities, and spiritual enrichment. For example, more than 45 million U.S. children participate in organized sports each year, approximately 50 million children attend schools, and more than 30 million children seek medical care from hospitals and emergency departments. While there can be no doubt about the need for, and broad based benefits of these services, children’s involvement also comes with the risk of potential harms (e.g., child sexual abuse, accidental injury, health risks). A recent Australian Royal Commission Report (Kaufman & Erooga, 2016) reviewed more than 400 documents from Australia, the United Kingdom, and the United States regarding child sexual abuse in youth serving organizations. A significant proportion of the safety risks described in this report can be defined as “situational” in nature. Situational safety risks involve environmental factors, risky situations, routine activities, and the absence of effective policies. This presentation will describe the Situational Prevention Approach (SPA; Kaufman et. al., 2012), a sustainable prevention strategy. The SPA was designed to facilitate the systematic identification of situational risks in youth serving organizations, and guide the development of tailored prevention and risk-reduction strategies to address these concerns. The use of the SPA with Boys and Girls Clubs of America (BGCA) sites in four U.S. states will be used to illustrate its application and potential impact. BGCA provides services (e.g., education, leadership development, life skills, recreation) to more than 4 million children and teens in over 4,200 clubs across the U.S. and in military installations worldwide. Brigid Daniel, MA (Hons), PhD, CQSW, originally studied psychology and carried out research in infant perceptuo-motor development. Following qualification as a social worker she practised in Edinburgh before moving to Dundee University to teach on post-qualifying courses in child care and protection, then to Stirling University as Senior Lecturer in Social Work and back to Dundee as the Professor of Child Care and Protection and Director of Studies of Child Care and Protection. Brigid is currently Professor of Social Work and Director of the Centre for Child Wellbeing and Protection in the School of Social Sciences at the University of Stirling (stir.ac.uk/ccwp/). She is the academic advisor to WithScotland – a national hub of expertise based at Stirling University that aims to enhance research and practice in child welfare and protection in Scotland. Brigid’s is Principal Investigator for Permanently Progressing? a research project that is the first stage for what is planned to be a longitudinal study of outcomes for children in Scotland looked after away from home under the age of 5 (http://www.stir.ac.uk/social-science/research/research-areas/cfr/permanently-progressing/). She is also Scottish lead for the Nuffield funded 4 UK nation study Identifying and Understanding Inequalities in Child Welfare Intervention Rates. The national framework for children’s services and its theoretical foundation will be described. The background to the development of the national framework will be explored within an analysis of the cultural and political drivers that facilitated the approach. In particular there will be consideration of why a national approach was adopted, the strategies employed to develop it and why it was ultimately enshrined in legislation. Drawing on national surveys of responses to child neglect the presentation will reflect on the impact of Girfec and what has changed in local policy and practice. The core elements of the framework and the tools for practice will be presented with reflections on how they are being implemented in an inter-disciplinary context. There will also be an analysis of the pitfalls and challenges along the way, in particular the partially successful legal challenge to the ‘named person’ element of the framework. The presentation will critically analyse the way in which the framework aims to address the spectrum of issues from relatively minor need for support for parenting through to a child’s need for immediate protection in high risk circumstances. Natalie Lewis is a descendant of the Gamilaraay (Kamilaroi) Nation and is the current Chief Executive Officer of the Queensland Aboriginal and Torres Strait Islander Child Protection Peak (QATSICPP). Her professional experience has been acquired in Queensland and in the United States in the areas of youth justice and child protection, providing direct service, program and policy development and organisational leadership over the past twenty years. Natalie currently serves on the National Executive of SNAICC – National Voice for our Children, and is co-chair of the National Family Matters Campaign. She also holds appointments on the Qld Domestic and Family Violence Implementation Council, Youth Sexual Violence and Abuse Steering Committee and the Queensland Policy Leaders Forum. Natalie was an active member of the Expert Advisory Group to the Queensland Child Protection Commission of Inquiry and remains strongly involved in the implementation of the reform agenda. Most Australians take for granted the right to grow up happy, safe and well, surrounded by family. For Aboriginal and Torres Strait Islander children, growing up with family and culture is not only a human right, but is crucial to assisting the healing process from intergenerational trauma caused by decades of injustice. Yet despite numerous legal and policy frameworks protecting their rights, today the rate of Aboriginal and Torres Strait Islander children in out-of-home care is almost ten times that of other children, and only continues to grow. Decades of research, policy and legislative change have been inadequate to shift paternalistic approaches to genuine empowerment and self determination. This keynote address will speak to the urgent need for transparency and accountability from all Australian Governments to Aboriginal and Torres Strait Islander children, families and communities, and offer community-led, practical solutions to some of the endemic issues faced by Aboriginal and Torres Strait Islander children, families and communities when they come into contact with child protection systems. A nationally consistent longitudinal data collection that transparently reports on safety and well-being outcomes for Aboriginal and Torres Strait Islander children. Recognition of the right to self-determination and cultural authority of Aboriginal and Torres Strait Islander peoples. Governments must learn from mistakes of the past and start to trust Aboriginal people to drive solutions for their children, families and communities. Speakers were given five minutes to present one idea, practice or product, using just one slide. Presentations followed the three conference themes. Rosemaria manages Child Protection services for the Northern NSW Local Health District, and is a part-time PhD student with the Australian Centre for Child Protection. Rosemaria’s research examines the role of the unborn child high risk birth alert in connecting at-risk pregnant women to health and social care. Jill Martin is an RN, CFHN, currently working in the Newborn Family Support team at RPAH, Sydney. Her role includes working with the Perinatal and Family Drug Health team. She has previously worked with vulnerable families in a sustained home visiting programme in south-western Sydney. Collaborative Planning and Systems Reform – the Emperor’s New Clothes? Paul has a Masters in Community Development and 20 years experience working in the community sector in Australia, Ireland and the UK. His current role seeks to harness the outward-looking, community-focused services in the Benevolent Society, so that each service better understands and connects with its local communities. Hitting children is OK but hitting adults is not! Karen Flanagan is a qualified social worker with 34 years clinical, managerial, training and research experience in National and International Child Protection. She has been referred to as one of Australia’s foremost educators and practitioners in the field of child sexual abuse and child abuse prevention. In 2010 she was appointed a Member of the Order of Australia (AM) for “Service to the community in the area of Child Protection through contributions to policy and program development and legislative reform”. Fleur Smith is currently the Family Matters National Campaign Coordinator at SNAICC – National Voice for our Children. Fleur holds an Honours Degree in Anthropology and has over a decade’s experience in the not-for-profit sector in policy and advocacy roles, with a focus on Aboriginal health and social justice advocacy. Andrew Jackomos was appointed in mid-2013 as the inaugural Commissioner for Aboriginal Children and Young People (Victoria), the first such position in Australia. Andrew is of the Yorta Yorta community and was the Director of the Koori Justice Unit in the Victorian Department of Justice from 2000 to 2014. There, he was responsible for coordinating the development and implementation of three phases of the Victorian Aboriginal Justice Agreement (AJA). Katrina Stratton has an extensive practice and research history with children and families across the government, not-for-profit and university sectors. As Coordinator for Reseach and Evaluation at Wanslea Family Services, Katrina is responsible for developing and implementing a research strategy and building research culture across the organisation. Wanslea recently received a substantial grant from Lotterywest to partner with three WA universities to undertake research with Grandparent Carers. Nichole has worked for over 20 years in roles including youth work in residential care, young parent residential support, domestic violence, community development, and has been in her current role in family support for seven years. Nichole is a recent graduate of the Bachelor of Social Work with Honours from Griffith University. Nichole completed her Honours dissertation, a literature review, highlighting the issue of successive child removal. Sue is a social worker and holds a PHD in social policy. She writes in the area of out-of-home care, open adoption, prevention of entry to care and technology in social work. The primary prevention of violence against women, how can it protect Australia’s children? Cara has a decade of experience in gender equality, women’s rights, violence prevention and women, peace and security in the NFP sector internationally and in Australia. She currently is the program manager for Children and Young People at Our Watch. She has represented YWCA Australia at the UN Commission of the Status of Women three times and has presented at the UN Human Rights Commission through the Universal Periodic Review. 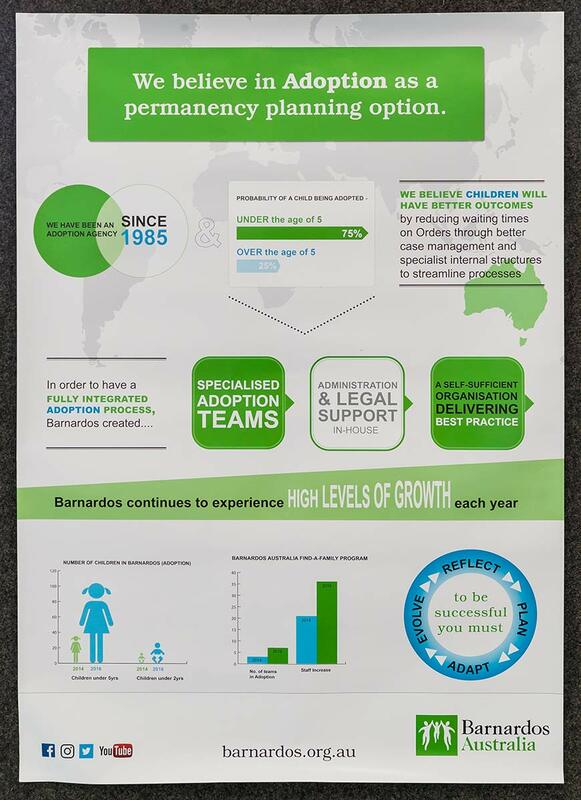 Chris Boyle has dedicated his 20 year social work career to child protection. He has a passion for social justice and giving a voice to the most vulnerable children, young people and families in our community. In 2012, Chris completed an international Churchill Fellowship into addressing child abuse and neglect. Elizabeth holds a Bachelor’s of Social Work and a Master’s of Science in Social Worker with over 10 years’ experience in the non-profit sector in Australia and overseas. Since 2014, Elizabeth has been the Executive Manager for Centrecare Djooraminda, which supports Aboriginal children and families through outreach support, reunification and OHC services. Elizabeth is a strong advocate for ensuring children and young people are provided the best opportunities in life and have an opportunity to maintain a strong, meaningful connection to culture. Candice Alusiola is the Team Leader of the Youth Connections Program, which aims to build long lasting wellbeing for some of South Australias most vulnerable children and young people. As one of Junction Australias Resilience Trainers Candice has trained staff and young people. Candice has played a significant role in the organisations shift towards positive psychology. Julie Harcourt – Counting Placement Stability: Time to get real! Julie Harcourt has been Director of Research at the Queensland Family and Child Commission, and previously the Commission for Children and Young People and Child Guardian, for over eight years. Ms Harcourt’s focus has been research that has practical application to improve outcomes for vulnerable children and young people. True Relationships and Reproductive Health (True), formerly Family Planning Queensland, is the leading provider of relationships and sexuality education (RSE) services in Queensland. True produce evidenced based, award winning resources that increase the safety of children and young people and promote healthy sexual development. Angela Wunsch is the A/ Manager – Child and Family Education at True and has over 14 years’ experience working with children, young people and families. From passive recipients to contributing partners. Embedding co-design principles to improve outcomes and impact. David Boutkan has worked with The Family Centre for 12 years, with over 30 years’ experience in the community services sector. He has worked in Family & Community Services, Health & Juvenile Justice, child protection, out of home care and youth & family. David has a special interest/experience in community led co-design, integrated service delivery and collective impact approaches. How to embed co-design principles into community organisations delivering rigidly prescribed government funded programs to improve outcomes and impact for children, young people, families and communities. Craig Bradbrook has worked in the Early Childhood and Social Services sector for over ten years. In previous roles he has supported the development of program implementation and evaluation measurement tools and frameworks for early childhood development, parenting support and building community capacity. The Western Integrated Intensive Family Support System is a systems approach to addressing Early Childhood Development Outcomes. Moving from Nested to Networked systems, better understand the system parts, their influence on system interactions and how these can provide much needed levers for change. Pauline Dixon is Executive Manager of Family Services at Wanslea. She has over 25 years’ experience working with families experiencing vulnerability and their children. She currently manages a team that works across parenting, prevention of children entering care, reunification, support to children of parents with mental illness and early intervention and prevention of children and young people developing a mental illness. Linking research to practice has been a ten year journey at Wanslea. Wanslea has co-produced an evidence-informed practice framework that is used in its parenting programs to promote positive outcomes for families experiencing vulnerability and their children. Lessons have been learned from data collection and the introduction of coaching. Christine Gibson has a degree in Social Work, Masters in Policy Studies, and substantial experience in evaluating interventions, workforce development and research into child welfare and service provision for vulnerable children. Christine was a Partner Investigator in two ARC projects: Diffusion of Innovation and the Needs of Children in Care. She was a foundation member of ARACY. The Child Aware Local Initiative’s success is reflected in the achievements of groups of people who committed to take action for children. This presentation describes how young children’s development and wellbeing was addressed in two sites and how four sites went about building child safe environments. Dr Rebekah Grace is a Senior Researcher and the Vice Chancellor’s Innovation Fellow in the Faculty of Human Sciences at Macquarie University. She leads the Volunteer Family Connect Research Project, a rigorous trial of a best-practice volunteer home visiting program to examine its effectiveness in supporting isolated and/or vulnerable children. Les Hems is a Director with Ernst & Young, and a specialist in applied research to inform transformative solutions that address social challenges. He is a leader in the development of outcome frameworks to measure social impact and social return on investment, and he is one of the Chief Investigators on the Volunteer Family Connect Project. Volunteer Family Connect is a community-based volunteer home visiting program. A randomised controlled trial to determine the effectiveness of this program, including a social return on investment (SROI) analysis, is currently underway. This presentation will discuss pilot SROI findings and the importance of government investment in volunteer home visiting. Glenn Hodgson has worked focusing on supporting fathers for almost ten years, running playgroups, special events such as daddy daughter hair days and providing intensive support. Glenn has also delivered training to professionals on father inclusive practice and the value of fathers for children’s development. This talk will highlight the value of fathers to children’s development and debunk myths around working with fathers. It will draw from data, professional experience and The Family Place practice framework to assist professionals to work with fathers in more inclusive ways. Improving safety, permanency and wellbeing for children and young people in OOHC: Implementing an outcome-focussed Quality Assurance Framework in NSW. Penny Hood is Director Innovation, Co-Design and Implementation within the Programs and Service Design (PSD) Division of the NSW Department of Family and Community Services. Annette Michaux is responsible for leading a number of the Parenting Research Centre’s PRC major research, development and implementation projects. Jamie Hodgson is State Director for Key Assets, The Children’s Services Provider (NSW) since April 2012. Jamie brings over twenty years’ experience in out of home care, child protection and human services in the UK and Australia. Key learnings from a NSW trial of a framework to reliably and consistently measure individual outcomes for children and young people in statutory OOHC. Annette Michaux‘s role at PRC includes promoting the implementation of evidence-based policy in Australia and she directs a number of government funded national and multi-year projects. She is responsible for leading a team of researchers, implementation, communication and knowledge translation specialists. Annette has extensive experience in child and family policy. 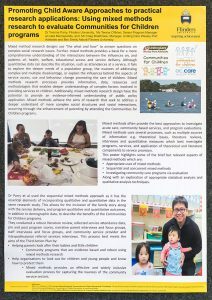 This analysis of Australian initiatives with messages about parenting in the first 1000 days was commissioned to inform the development of community awareness raising campaigns about the importance of parenting. Recommendations are presented for the development of messages, messaging about parenting, campaign development and further communications research. Hannah Richards is a Social Worker who has been a practitioner at Brisbane Youth Service Centre for Young Families for the last three years. She has experience in working with vulnerable young people and children with a disability. Bettine McFadyen is a Social Worker and senior practitioner at Brisbane Youth Service Centre for Young Families. She has worked in the organisation in multiple roles for the last 25 years. Brisbane Youth Service works with at risk vulnerable young families using an attachment, infant mental health and strengths based framework. Early intervention and the building of relationships in the first 1000 days of life is beneficial to a child’s development particularly when the child is of a young vulnerable family. Anne Tidyman has a background in nursing, public housing, community development, out of home care and public advocacy. Anne is manager, Child and Family Services, at Odyssey House Victoria. Menka Tsantefski is a Senior Lecturer in the School of Human Services and Social Work at Griffith University. This presentation outlines key elements of practice in a program positioned “at the pointy end of the stick”, the interface between obstetric care, alcohol and other drug treatment and child welfare. It describes how the Social Work Outreach program attends to safety and improves outcomes among high-risk infants and mothers. Sue West and Megan Keyes are leaders at the Centre for Community Child Health, MCRI. They are passionate about the practical application of research and knowledge to addressing inequities and issues facing Australia’s families and are experts in the use of strategic framing for effective communication. This presentation will outline the results of research and discuss the implications for innovative communications practice around the ‘first 1000 days’ in Australia. Dr Sarah Wise creates knowledge through robust research to solve policy and social problems that concern children with vulnerabilities and their families. Sarah has a background in developmental psychology and over 20 years’ experience working at the interface of research, practice and policy with special interest in out of home care, complex interventions and systems of care and early childhood development. This paper presents findings from an Australian national survey on the quality of childcare used by children in care in their first two years of life and the reasons carers give for using, or not using, early years’ services. 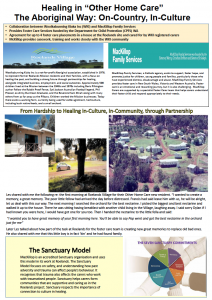 Candice Butler is a Senior Practice Leader for QATSICPP with strong family connections to Yarrabah, North Queensland. Candice is committed to ensuring Aboriginal and Torres Strait Islander children are strong and supported through their developing years and assisting Aboriginal and Torres Strait Islander child protection workers to excel in best practice and quality case management. Nadia Currie is a Badtjala woman from the Wide Bay region currently residing in Brisbane. Nadia has completed her Bachelor of Laws at Griffith University and currently enrolled in a Master of Laws at QUT, with a strong focus on Aboriginal and Torres Strait Islander child protection. To ensure that the voices of Aboriginal and Torres Strait Islander communities throughout Queensland were heard and real participation was at the forefront, the Queensland Aboriginal and Torres Strait Islander Child Protection Peak Limited (QATSICPP) developed the concept of the QATSICPP Knowledge Circles. Redefining Aboriginal Community Control in the Child Protection Sector. Preventing Filicide: What can professionals and families do? Jo Cavanagh OAM has worked for the community since 1976 and as CEO at Family Life since 1996. She has led a program of change and organisational growth to expand effective services, support and connections which empower vulnerable families, children and young people. Her passion is the wellbeing of children. Understanding the complex interplay of factors which impact on adults in the context of parental separation and require an integration of health and family service systems to promote early intervention approach to identify the risk of filicide, a parent killing their child. Elise Dunn is a Senior Manager within Interrelate’s Research and Service Development team. Jessica Langtry is the Coordinator of the Children’s contact Service in Caringbah. Children’s Contact Services are unregulated services in which the family law, criminal and child protection systems often intersect. 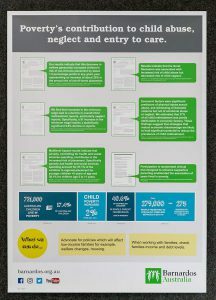 Recent Australian research prompted Interrelate to conduct a review of its services, and the presentation shares learning about the process and outcomes which strengthened child aware, child safe, child friendly practices. Susie Edwards is Coordinator for the Family Inclusion Network (FIN) SE QLD, auspiced by Micah Projects Inc. Susie is a kinship carer and social worker with a keen interest in including families’ voices in the development of social policy. in 2016, Susie and her team delivered the first Parent Leadership Institute Training Program for parents outside of the United States. Andrea World graduated from the Parent Leadership Training Institute Pilot in 2016 and is now part of the PLTI Alumni. Andrea will provide a summary of her project which is seeking to improve access to ante-natal services and provide positive birthing experiences to expecting mums in her Logan community. Parents as leaders and advocates for change in their communities, moving beyond “but I am just a parent” to becoming a change agent. The Family Inclusion Network (SEQ) in partnership with The Parent Leadership Training Initiative (PLTI) invites conference delegates to sample “a taste of PLTI”. Children with disability – an essential focus of the National Framework for Protecting Australia’s Children? Stephanie Gotlib is the CEO of the national representative persons’ organisation for children and young people with disability aged 0-25 years, Children and Young People with Disability Australia (CYDA). CYDA provides systemic advocacy to achieve better outcomes for children and young people with disability and their families. Children with disability are continually overlooked in the National Framework for Protecting Australia’s Children. The safety and wellbeing of children with disability is still largely positioned as the work and responsibility of the disability sector. This presentation discusses why children with disability must be a core focus of the Framework. Michael Hawton is a registered psychologist, trained teacher, author, international speaker, media commentator and father of two. Michael has 30 years experience working with children and families including in his private practice, working with the United Nations in Seychelles. Michael’s training programs include 1-2-3 Magic® and Emotion Coaching, Engaging Adolescents and Tough Conversations in Child Protection course. In this presentation, participants will learn part of a method which includes identifying different types of personalities and their ability to tolerate frustration. Participants will also be provided an overview of the Tough Conversations in Child Protection course. Voices of children and young people in out-of-home care: what are they saying? Nicole Hunter is a senior project manager at the Australian Institute of Health and Welfare (AIHW). She was the lead researcher on the data linkage project that explored the educational outcomes of children and young people in out of home care, and the project manager for indicator development and reporting under the National Framework for Protecting Australia’s Children. 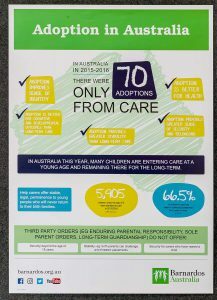 A national survey of young people in out of home care was conducted to allow reporting against eight indicators under the National Standards for out of home care for the first time. Dr Meredith Kiraly is a psychologist with over 30 years’ experience specialising in out of home care, and particularly in kinship care. She is a Research Fellow in the Social Work Department at the University of Melbourne and has a small consultancy in human services. This presentation will outline a research project that is identifying significant unmet support needs among young kinship carers in Australia. A model for an innovative web-based pilot support service will be presented, together with work in progress to establish the pilot project. Tom Lothian has clinical experience in psychiatric hospitals, private practice, community drug and alcohol, community health and forensic system. In addition to individual and group therapy, Tom is an experienced trainer and developer of therapeutic and training manuals. His research interests include wellbeing, gender, prejudice, substance use, emotions, power and relationships. Consent and confidentiality in young children in the context of counselling will be explored. The relationship between building trustful relationships with children and ensuring consent and confidentiality is adhered to can be difficult. This presentation will explore the boundaries of consent and confidentiality. Lisa McCue is Director Child Protection in South Western Sydney Local Health District and is leading an organisational wide child aware project across multiple settings. Lisa is a strong advocate for children and young people in her organisation to ensure that the safety, welfare and wellbeing of children and young people is considered in all health settings. Kelly Walker has Bachelor degree in Nursing, Arts (welfare) and a Master’s degree in Counselling. Kelly is currently employed as the Director of Nursing for Drug Health Services, and is working in partnership with Lisa to implement a child aware framework in drug health services. South Western Sydney Local Health District is developing a Child Safe and Child Aware Framework. The first phase of this project was to develop a district wide Child Aware communication strategy and key messages campaign and develop an audit tool to assess how child and family sensitive adult services are. What has changed in decades of investment in child protection? – Have we made a difference? Professor Patrick O’Leary has worked internationally on child protection, social work, gender-based violence, and the long-term impact of child sexual abuse. 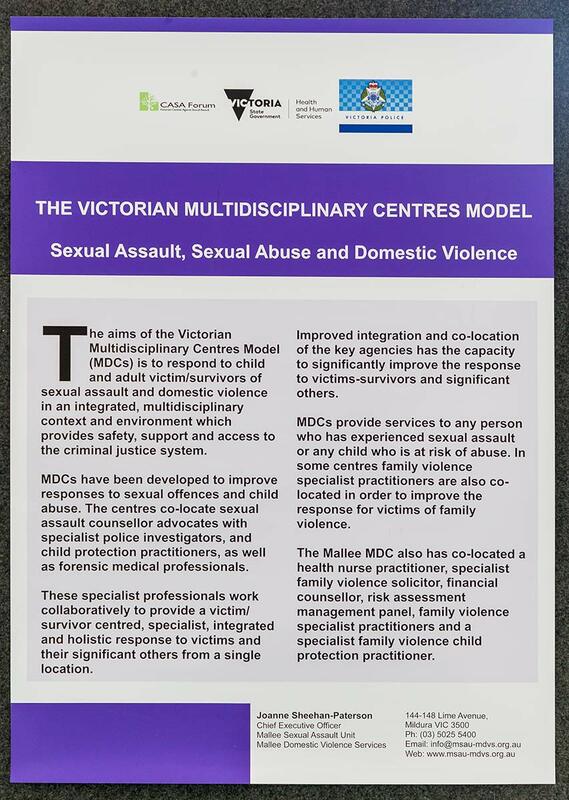 Recently he has worked as Senior Innocenti Research Fellow for UNICEF Office of Research, and an advisor to the Royal Commission into Institutional Responses to Child Sexual Abuse. Child protection controversies have led to questioning of the effectiveness of public investment. However, there is some cause for optimism because long-term incidents of some of the worst forms of child maltreatment have declined. This paper will outline this positive trend as a strong platform for continued investment and innovation. Frances Quan Farrant is a graduate qualified social worker with a background in research on violence and people with disability. Most recently, Frances has been working with the People With Disability Australia (PWDA) Project Advocacy team undertaking field research on family and domestic violence and people with disability. Frances has published independently and as a part of the PWDA Advocacy team. PWDA has been running a research project entitled, ‘What makes institutions safe for children with disability?’. Children with disability experience far higher levels of violence than other children. Children with disability require particular consideration when developing child sage policies, procedures and institutions, and lived experience is invaluable to this process. Dr Elizabth Reimer is a lecturer at Southern Cross University. Elizabeth’s research includes family work, parent engagement in family services, child neglect, and workforce issues such as critical reflection. Carmen Stewart is passionate about activating change to create futures we would all love to live in and designer of the award winning Making Places project – an initiative that explores what healthier and more sustainable futures for our communities could be like. Noticing higher than state-average rates of unemployment, poverty, and homelessness, some residents living in the 2484 area have formed a collective to create a culture of generosity, responsiveness, and a thriving community. This presentation outlines the first 12 months of our efforts, including our theoretical framework and outcomes to date. Dr Rosie Teague commenced her research career as a PhD student working on the Pathways to Prevention Project led by Professor Ross Homel. Her research interests include child wellbeing, out of home care and parenting. She is currently working as a researcher at the Queensland Family and Child Commission. Rumble’s Quest is an innovative child-report measure of wellbeing developed by Freiberg and Homel. This paper describes an evaluation of the first use of this measure in a family support service context. Reported findings focus on services’ experiences, in particular how they used the information they gained. Raising Expectations; increasing the number of young people leaving out of home care going on to higher education. Joanna Humphries is an experienced program and project manager, coach and mentor. She has provided consultancy services to government, private and not-for-profit organisations across many sectors. Joanna is currently managing Raising Expectations which aims to increase the number of young people leaving care going on to higher education. An initiative that is breaking new ground. A cross-sectoral partnership between the Centre for Excellence in Child and Family Welfare and Federation and La Trobe universities to support and encourage more young people from care, and those that support them, to recognise university as an education pathway. Academic performance of children and young people in care: how do they compare? Nicole Hunter is a senior project manager at the AIHW. She was the lead researcher on the data linkage project that explored the educational outcomes of children and young people in out of home care, and the project manager for indicator development and reporting under the National Framework for Protecting Australia’s Children. 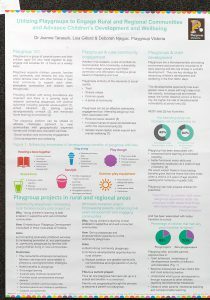 This project was a large-scale data linkage project that explored the NAPLAN results of children in out of home care and compared these results to the wider student cohort. Dr Margaret Kertesz is a Senior Research Fellow in the University of Melbourne Department of Social Work. With a background in both historical research and social work, Margaret has worked in the Child and Family Welfare sector for two decades, both in out of home care service provision and as a researcher. A contact research study has found that fewer children in long-term care see their families than do those whom reunification is planned. Given research evidence that family connections are important for good psychological outcomes, this presentation discusses an approach that focuses on a range of strategies for family connection. Dr Ali Lakhani is a Post-Doctorate Fellow with Menzies Health Institute Queensland and Synapse. His research focuses on self-directed policy for persons with disability, integrated practice for early child development and care, and culturally appropriate research methods. One emerging alternative form of child visitation is visitation that takes place within a playgroup setting. Consequently, in this study five parents and a child protection worker were interviewed to ascertain their perspectives about their participation in a playgroup used for child visitation. Ailsa McPherson is a senior research analyst at the Productivity Commission, where she is a member of the Secretariat for the Review of Government Service Provision. Ailsa’s areas of responsibility include child protection and youth justice. Improving services to assist young people in out of home care to flourish in adulthood requires high quality performance information. This presentation will inform participatns on how the performance information in the COAG-initiated Report on Government Services can be used to facilitate improvement in the wellbeing of young people in out of home care. Dr Katrina Stratton has an extensive practice and research history with children and families across the government, not-for-profit and university sectors. As Coordinator for Research and Evaluation at Wanslea, Katrina is responsible for developing and implementing a research strategy and building research culture across the organisation. Grandparent care is the fastest growing form of out of home care, yet there is a scant evidence base to inform best practice or policy. Wanslea has established a research agenda and partnerships to secure a significant grant to explore the impact of grandparent care and improve outcomes for children. Aunty Sue Blacklock (AM) is a respected Elder of the Nucoorilma people from Tingha, NSW. Aunty Sue has been a lifelong advocate for finding new strength based ways of working with Aboriginal children and families. Aunty Sue was appointed the first Ambassador for Children, Australian Centre for Child Protection in 2014. Paula Hayden is a co-founder and developer of Winangay Resources. With over 35 years’ experience working in OOHC & Child Protection. A consultant and facilitator, she has had a lifelong commitment to social justice and to developing resources which are empowering, strength based and enabling. Paula has been published nationally and internationally. Gillian Bonser is a co-founder and developer for Winangay Resources. She is a psychologist, consultant and facilitator who specialises in lateral thinking and innovative resource development. She has a long history of social justice activism in relation to Aboriginal people and those who are living with trauma. Karen Menzies is the Vice Chair of Winangay Resources Inc. A Wonnnarua woman from the Hunter Valley, NSW. Karen was the social worker on the Bringing Them Home report and has over 30 years’ experience working in OOHC and Child Protection. This workshop will focus on embedding trauma informed (TIC) principles in our daily practice to deliver child centred and safe environments. It explores ways of applying the principles in ways that increase worker confidence and competence with real outcomes for children and families. The results are in…This works! 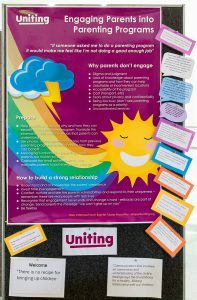 Shelley Fallowfield co-ordinates the early matters program at Relationships Australia, offering services to engage parents and their children at three critical transition points: birth, kinder to school, primary school to high school. “Early Matters” programs formed by Relationships Australia Victoria offer a suite of primary prevention initiatives to support parents and their children to promote and strengthen healthy and safe relationships which prevent families entering a stress pathway. Debbie Miller is the Director of Education and Learning at Pathways to Resilience Trust. She has worked extensively across the educational field. Her focus at the Trust is on the accessibility of social and emotional learning for children, developing safe environments and communication strategies based on brain based learning. The Wings Program aims to educate those working with young children on the importance of creating safe spaces and strong relationships to foster healthy brain growth. It is presented from the pedagogy of belief in a child’s strength and capability rather than a deficit model. 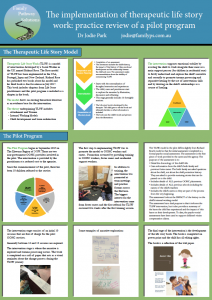 Kerryn Roberts works across therapeutic children’s programs at Relationships Australia, SA. With a background in parenting, childbirth education, midwifery and nursing, Kerryn is an experienced coordinator and group facilitator providing child led parenting group programs with parents of children 0-4 years. This workshop stresses the importance of maintaining therapeutic ‘intent’ when working with at-risk parents and their infants. Using trauma, attachment and attunement theories, parents are supported to use everyday activities as bonding opportunities. The Garden eight week program that supports parents to develop the mother/child relationship is used as exemplar. Rosie McKeand is a visual artist and educator and was the lead artist in the Fostering Creativity program. She has worked extensively with young children, parents, teachers and community groups. Leigh Tesch has a background in Occupational Therapy, storytelling and arts and health projects. She was the Program Coordinator with the Fostering Creativity program. This is an interactive workshop exploring creative approached working with art materials and activities for children and families. The workshop will explore some of the practical activities used in the Fostering Creativity program and will describe and reflect on learnings from this program. Dr Rebekah Grace is a Senior Researcher and the Vice Chancellor’s Innovation Fellow in the Faculty of Human Sciences at Macquarie University. Her research spans the health, education and psychology fields, always focused on how we can best support vulnerable children and their families. An energising presentation demonstrating a range of interactive groundbreaking strategies to maximise children and young peoples’ engagement. This workshop will provide an opportunity to view and use resources including the Winangay “KiDs SAY” visual cards designed to generate children and young people’s participation in decision making. Dr Ron Frey is a developmental psychologist, lecturer and child and family therapist who serves on the Board of Directors of DV Connect and was a part of the committee convened by the Queensland Law Society to prepare the best practice guidelines for lawyers who deal with cases involving domestic violence. Dr Areana Eivers is a clinical psychologist who lectures in the School of Psychology and Counselling at QUT and has a special research interest in the effects of domestic violence, particularly its impact on children. Anna Jones is the clinical programme manager of the Talera Centre, a specialist centre for children and families who have been exposed to domestic violence and other forms of family violence and abuse. Angela Lynch is the acting coordinator of the Women’s Legal Service, and was co-contributor and trainer to a recent project which focused on the needs of children in court cases where domestic violence has been alleged. 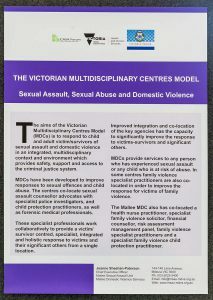 An expert panel will provide a highly interactive discussion which focuses on the psychological, emotional, physiological and social impacts of domestic violence on children, and how these impacts are often forgotten in contexts where the perspectives of adults appear to be prioritised, such as in court settings. Samantha Kolasa trained as a psychologist and worked directly with clients before moving into senior management roles in the not for profit sector. She has worked across all levels of government bringing a wealth of experience in stakeholder engagement and the development and implementation of programs within a partnership context. This workshop will enable practitioners to work more effectively with parents where children are the primary client and will utilise practical techniques based in neuroscience to enhance positive outcomes and provide a holistic model of working with children and their families whilst upholding the safety of the child. Associate Professor Kym Macfarlane has worked in the early childhood sector for many years. She has experience as an early childhood teacher and in higher education in the field of Child and Family Studies in Human Services. She has extensive experience in working and researching practice issues and early intervention with children 0-18 years and their families. The workshop will show how high quality soft entry, universal early intervention and prevention practice can be undertaken and used to engage with families to co-create, design and implement safe spaces for them to use. Kate Mcintyre is a qualified Social Worker, parent counsellor and experienced trainer. She has worked with children and families for over 12 years in early intervention, family preservation, child protection and out of home care in the NSW government and non-government sector. This presentation will focus on bold, practical and creative approaches to working with children, families and communities and will help you to see, understand and respond to children at high risk of child sexual abuse. Hayley Rideout is a Griffith University Bachelor of Social Work with Honours graduate. She has been an employee of Immigrant Women’s Support Service (IWSS) since 2015. She completed her honours dissertation in 2016 titled, “Children’s play and domestic and family violence refuges: A literature review”. Ana Alvarez works at the IWSS and has worked in both government and non-government sectors in domestic violence, homelessness, settlement support, family support and community development. An interactive forum to discuss the importance of incorporating children’s needs and experiences in the development of service responses to domestic violence. Discussion will be informed by literature review findings as well as learnings from the development of resources aimed at enhancing mothers’ understanding of their children’s needs and experiences. Lyn Stoker teaches Family Studies at the University of Newcastle and has extensive experience as a social worker in government and non-government settings. Teegan Bain is a pioneering peer worker supporting parents and families navigate the out of home care system at Life Without Barriers. Felicity Kime is a co-founder of Family Inclusion Strategies in the Hunter. With experience of having her own children placed in care she understands what parents go through and how to best help them navigate the system successfully. Lauren Graham is a Team Leader at Family Support Service, Newcastle NSW, providing services to families and their children who are socially and economically disadvantaged. This workshop will explore how genuine partnership and inclusion of parents and family in child protection and out of home care practice can positively contribute to achieving the current goals of the Third Action Plan for the National Framework: “Protecting Children is Everybody’s Business”. Norma Williams is Program Manager with Uniting Care QLD and a senior family member dispute resolving practitioner, with over 30 years’ experience in child development and care, conflict and dispute resolution, education and training and service delivery. Margaret Cameron is a senior family dispute resolution practitioner with a background in social science and family law. Demonstrating outcomes of action research activity informing operational and professional practice change and resulting in significant increases in the participation of children and young people to have a say in procedural matters where decisions are being made that will affect them. Honouring the UN Convention of Rights of the Child. Jodie Griffiths-Cook is the Public Advocate and Children and Young People Commissioner for the ACT. With 25 years’ experience in human services, a strong interest in social justice, and a commitment to upholding and advancing human rights, Jodie is a passionate advocate for systems change that facilitates effective individual outcomes and contribute to a sustainable and cohesive human services sector. This workshop (co-designed with Aboriginal young people) will enhance participants’ understanding of the importance of cultural connection for Aboriginal young people, and challenge participants to view the cultural competency of their organisation through the yes of Aboriginal young people who have a lived experience of the care and protection system. Protecting and valuing children: what would success look like and how does that relate to policy development? Dr Brian Babington is CEO of Families Australia and plays leadership roles in numerous national and international bodies, particularly as convenor of the National Coalition on Child Safety and Wellbeing and as a director of a Plan International Australia. Professor Daryl Higgins was appointed Professor and Director, Institute of Child Protection Studies, Australian Catholic University in February 2017. His research focuses on public health approaches to protecting children, and child-safe organisational strategies. A registered psychologist, he has been researching child abuse impacts and prevention, family violence, and family functioning since 1993. This joint presentation will critically analyse current national policy responses to child safety and wellbeing concerns and explore how policy can be augmented by public health strategies that identify and respond to the needs of children in families. What seed can we plant today that will ensure a future of collaboration and co-design between government and community? Marlene Butteriss works in Stakeholder Engagement within Child and Family Reform in QLD Department of Communities, Child Safety and Disability Services where she is responsible for to engaging with community members to increase understanding and confidence, and participation in planning and engagement processes used. Valmae Rose is Program Manager at a small tertiary child protection service providing intensive family support and counselling in the Moreton Bay/North Coast region of QLD. Valmae is committed to driving better policy and human service outcomes for vulnerable people through strong engagement, collaboration and innovation. In the context of the current reform agenda, this session will engage participants in conversations that explore how we work collaboratively with community to build systems and services that create safe and empowering environments in where children reach their full potential, as well as how we build shared responsibility between government and community. What does success look like and how does that relate to social policy development? Dr Ros Baxter has worked in social and welfare policy and practice in both Australia and the United Kingdom, and in local, state and federal government. She has been a presiding member of the Social Security Appeals Tribunal, and has also worked as a consultant, providing advice to public and private sector organisations in developing regulation and prosecuting strategic policy. Flora Carapellucci is Principal Advisor in Families Group in the Australian Government’s Department of Social Services. Flora provides senior leadership to the branches responsible for family policy and programmes, family safety and women’s safety, and children’s policy matters encompassing paid parental leave and intercountry adoption among other policy responsibilities. Would you like to know more about how policy reform happens in the government? Step through the realities of social policy reform with leading policy makers. Learn from case studies and discuss what leads to policy success. Workshop a policy issue and how you would implement your ideas. In what ways can our sector take a greater prevention and early intervention approach to further enhance the wellbeing of children into the future? Professor John Toumbourou is based at Deakin University. He is the Chair in Health Psychology within the School of Psychology and the Leader in Intervention (Prevention) Sciences within the Centre for Social and Early Emotional Development (SEED). He has been influential internationally and nationally in assisting the development of research and practice in the fields of prevention science and health psychology. Jackie Brady has extensive stakeholder relations and strategic development experience in peak agencies in the sector, as Executive Director of FRSA, Jackie is responsible for leading the strategic vision for the organisation, which includes creating better lives for children, families and communities throughout Australia. By investing in prevention and early intervention there are great economic benefits to the nation as well as long-term developmental and wellbeing outcomes for children and families. This workshop will explore what we can do to take a greater prevention and early intervention approach in our service delivery. Noelle Hudson is an experienced policy analyst and worked in the policy areas of child protection, homelessness and housing, disability and family/domestic violence. Some of her previous roles include being the Executive Officer for the Australian Sociological Association and the Senior Policy Officer for Q Shelter and held Board positions with community based organisations. Noelle has been with CREATE Foundation as the National Policy and Advocacy Manager in 2014. Panel members: Queensland Family and Child Commission (QFCC), PeakCare, Queensland Aboriginal and Torres Strait Islander Child Protection Peak (QATSICPP), CREATE Young Consultants. Consultation with young people is necessary to advocate for and on behalf of them. It empowers young people and provides organisations with vital information and practical knowledge to improve service delivery. This session will explore the successes and barriers experiences by different organisations regarding consultation with young people and policy. This presentation addresses the work of the Aboriginal and Torres Strait Islander Working Group to advise on and monitor progress towards the full implementation of the Aboriginal and Torres Strait Islander Child Placement Principle through the Third Action Plan for the National Framework for Protecting Australia’s Children. Dr Yvonne Parry’s research exists at the important intersection between nursing/public health and child protection. Yvonne’s research over the last decade has combined in-depth and extensive collaborative community based research, with quantitative data analysis and this work has also informed her quality teaching scholarship, interdisciplinary course development and policy submissions to professional accreditation organisations and governments. She teaches research methods to community organisations, tertiary students and has presented her mixed methods research internationally. This interactive Policy Think Space Session explores ‘Does policy really drive what we do or is it something else? Does it really influence service delivery?’ questions using the practical examples of the implementation of CAA policy driven change. Gaps in implementation will be identified, explored and translated. Linda Savage has a BA (Hons) in Political Science and a Law degree from Cambridge University. She has previously been the Director of the Social Security Appeals Tribunal, a member of the Administrative Appeals Tribunal and a member of WA State Parliament. Linda is currently Convenor of the Valuing Children Initiative. With the wealth of evidence about what makes for a safe and supportive childhood, and the unprecedented focus on children today, what accounts for the gap between what we know, what we do, and the lives that some children have to endure? Dr Lesley Van Schoubroeck has many years experience in social policy in the public sector and is passionate about seeing good ideas become policy and make a difference to our most vulnerable people. She was appointed on 1 July 2013 as Queensland’s first Mental Health Commissioner. Her aim is to lead a Commission that brings together the wisdom that arises from life experience and professional expertise in order to drive reform to enhance the lives of people living with mental illness or substance misuse. Prior to taking up her role as Commissioner, Dr van Schoubroeck was the Director of Organisational Reform in Western Australia’s Mental Health Commission where she led system wide reform. Both agility and persistence are required to get and maintain political attention in an environment of competing agendas and media scrutiny. This is your chance to identify opportunities to maintain a sense of urgency, to turn great ideas to better outcomes for families and children.